ON SUNDAY, FAY and I drove down to Penshurst Place in Kent, the home of Sir Philip Sidney — a grand and ancient house which has remained in the family since the time of the Tudors, though building started there as early as 1341. It’s a yearly treat for us to wander through the gardens, where a magnificently long bed of peonies blooms at the end of Spring. This garden is as wonderful as the garden through the looking-glass. It abounds in twists and turns, and secretes away arbours and alcoves ideal for intimate trysts or confidential deals. 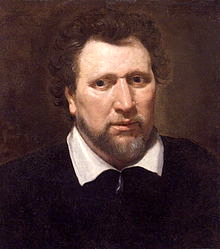 Here the courtly type of Elizabethan and Jacobite poets would gather and exchange their manuscripts – often written in “crowns” – or coronas – of sonnets and dizains – where the last line of one poem in the sequence is the first line of the next – so that the final line of the sequence is also its first. Here, more than anywhere else in England, the influence of Petrarch can be felt. Elizabeth liked to keep her courtiers busy writing his “difficult” form of sonnets, when they were not off fighting her wars. It kept them from dabbling in politics. Across the channel, at the French court, Catherine de Medici insisted on her courtiers being able to dance with proficiency – for just the same reason. We went down to Penshurst, on this Sunday of 16th of September 2018, to be part of the audience for the first performance in 400 years of Love’s Victory, a comedy by Lady Mary Wroth, written between 1617 and 1619. It might have been written for a family wedding (though, since the message is clearly a complaint concerning arranged marriages, I somehow doubt this). There is no evidence that it was ever performed. It was never printed, and exists only in two manuscripts, one in California and one in Penshurst. Mary Wroth was born in 1587. 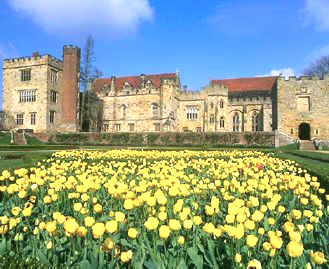 She was the niece of Sir Philip Sidney, and she grew up at Penshurst. 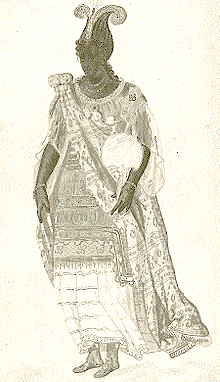 Hers is one of the first plays written in English by a woman. Apart from Love’s Victory, there’s The Tragedy of Mariam, the Fair Queen of Jewry – a Jacobean closet drama by Elizabeth Tanfield Cary. 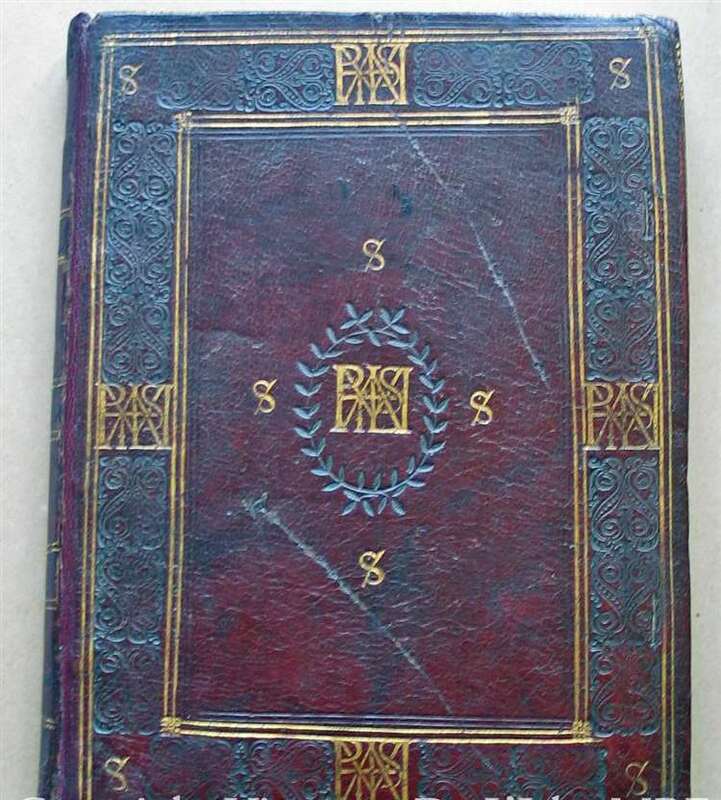 This was first published in 1613, while, before that, Mary, the Countess of Pembroke, the aunt of Mary Wroth, wrote a closet drama, Antonius, which was a translation of the French play Marc-Antoine (1578) by Robert Garnier. It was Aphra Behn, in the Restoration, who was the first to establish her plays on the London stages. With little more than her wits to help her, she’d managed to gain the attention of Charles II, who employed her as a spy in Antwerp. Allowing herself great freedom of thought, including championship of black equality in her novella Oroonoko (1688), Aphra Behn belonged to a coterie of poets and famous libertines such as John Wilmot, Lord Rochester. She wrote under the pastoral pseudonym Astrea. But certainly this play by Wroth moves English drama in Astrea’s direction. 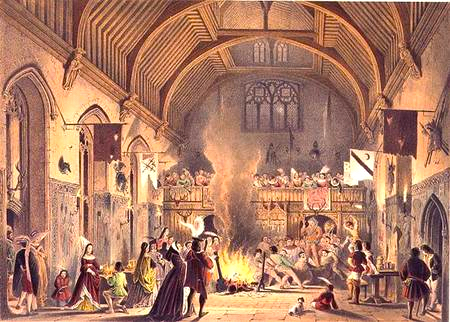 Behn’s first play was The Forc’d Marriage – written in 1670. “Closet drama” is an unfortunate and derogatory term… These were plays performed in private, or perhaps not performed at all. In art, perhaps in art alone, the court can mingle with the proletariat. A thread of this pastoral reaction to officialdom runs on through history via Sappho and the lyricists of Greece to the Arcadias of the Elizabethans and beyond. With the pharaoh, the reaction to being seen as a god was to go camouflaged as a man; for the Renaissance, it was the court mingled with the countryside or with some courtly notion of it. For the emergent feminine, love is invariably the subject, since courtly love, pioneered by the genocided Cathar troubadours of the Pyrenees, was revolutionary, elevating the relationship of man and woman to the highest goal that could be achieved — a far cry from the notion of the subservient womb, which likened women to cattle — as Rustic, the would-be husband does in Love’s Victory. However, too much devotion to love can become a trifle cloying to a contemporary audience. The art of pastoral retreat always enabled the artist or author to focus on the dynamics of the medium, rather than get thoroughly to grips with the urgent issues pressing in from society. As the pastoral enthusiasm deepens, the instigating realism fades and instead an idealism becomes abstracted from it. Music flourishes, and so does painting, and scansion gets discussed by courtier poets among the yew’s broad hedges that create private gardens and intimate nooks — as at Sir Philip Sidney’s residence at Penshurst. Perhaps the grip of drama weakens as a result. Love’s Victory is written in rhyming couplets — in emulation of the French Alexandrine, which, according to Jacqueline Flescher, “came into its own in the middle of the sixteenth century with the poets of the Pléiade and was firmly established in the seventeenth century”. This became something of a strait-jacket for French verse and drama for ensuing ages, and the French only got out of it in the nineteenth century by employing the prose poem, while it is one of the achievements of Ionescu and modernism generally that the twentieth century was able to get rid of the Alexandrine. 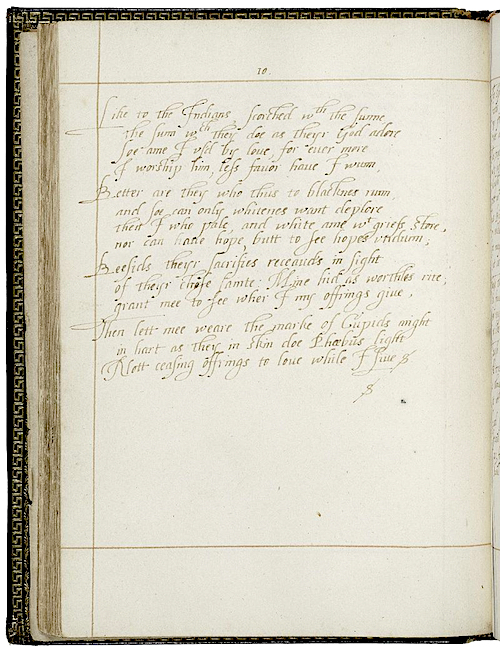 It must be confessed that Lady Mary Wroth handles these couplets (in pentameter) with great mastery, and there are plenty of comedic lines and apt remarks incorporated within her play. 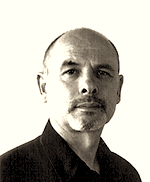 But the use of this courtly form does highlight the genius of Shakespeare and the professionals in London, who broke free with blank verse, which was much more plastic, more malleable to the needs of drama, and, in some ways, more an emulation of ancient Greek drama which could quicken its pace or slow it down at will by changes of metre. Love’s Victory is in effect a poetic oratorio, interspersed with song, wonderfully rendered by the cast, accompanied on viols and arch-lutes by attendant musicians in full costume. 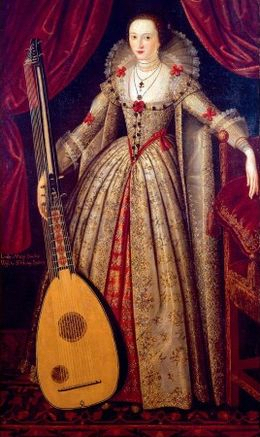 For me, it was a delight to hear the arch-lute played in the Baronial Hall at Penshurst, knowing that in the gallery upstairs there’s a wonderful portrait of Mary Wroth, holding an arch-lute as tall as she is herself. The play is a sort of Made in Chelsea written during the Renaissance. The girls gather to chatter about boys. The boys bear jealous grudges against each other, and one girl becomes a radical feminist by vowing chastity and taking up the bow of Diana. But I would have trimmed the text, dividing the girls’ chattering into entr’actes rather than sticking to one long scene of it, getting rid of the riddles, which are provided with no answers other than obvious abstractions – love, vengeance, etc. — and these hardly contribute to the homeostasis of the play. He knew how to write short, easily-memorable texts (such as this example) for the nobility to perform in their own amateurish way, with a huge investment in performance art, stage effects and pyrotechnic wizardry. However, I get the sense that Mary wrote very much in isolation. She had no Burbage at her side, as Shakespeare did, to demand that line be struck, and this action thoroughly vamped up. The rhyming couplets constrain her imagination, and her characters prattle on and on in abstractions. Only the boorish Rustic — the dreadful nouveau-riche husband designate to Musella — ever mentions anything as real as a horse, a sheep or a cow. These abstractions work incredibly well in the lyrical poetry that she wrote, in her autobiographical sonnet-sequence for instance, for here they show what a brilliant analyst she was of the interweaving of love, jealousy, envy, ambition and fate. She occupies a unique place in English verse between the Petrarchan courtliness of her uncle and his peers and the far thornier realities explored by Donne and the metaphysical poets who came later. She is indeed a bridge between these schools. But her work can never escape from the constraints of form, and while this lends her sonnets an eerie angularity, like Japanese trees constrained by their gardeners, seeking to say too much within a form too strict to allow it does not, in all honesty, work for the stage. So considerable editing would be needed to make this play truly entertaining. And I would not have staged it in Elizabethan costumes trawled for without much coherence, presumably from various prop-departments. I would have thoroughly rusticated Rustic, making him less of a courtier, more of an overdressed clumsy caricature. I would not have performed it in the somewhat draughty baronial hall, but instead, I’d have done it at the height of Summer, in the lovely grassy little open-air amphitheatre in the Penshurst gardens. This would have been far better suited to the pastoral conceit of the play. I would have designed the costumes as those of a faux antiquity — enabling the cast to cast aside all corsets and bustles. I’d have incorporated more dancing. Titian’s arcadias might have been my guiding spirit, though I might have permitted the audience a backstage glimpse – in the chattering girly moments perhaps — of Elizabethans changing out of the constraints of their formal attire into the loose tunics of mythology. Love’s Victory was performed by the Urania Company, funded by the Arts and Humanities Research Council, hosted by Lord and Lady de L’Isle, Philip Sidney and Penshurst Place, and researched and developed by Professor Alison Findlay at Lancaster University through a project called “Shakespeare and his Sisters“. 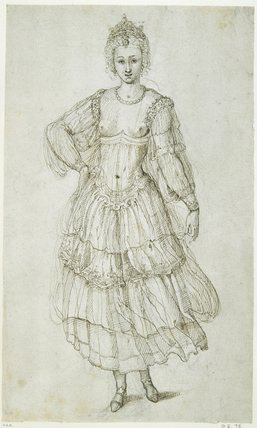 Inigo Jones: “Daughter of the Moon” costume for Oberon: The Fairy Prince (1611), in which Royalty performed. This Fortnightly Review article is filed under the following rubrics: Film, Television, Video & Theatre, Notes & Comment. Publication: Sunday, 23 September 2018, at 14:52.